paediatrician takes are of all the health issues related to infants and children. As it is said, a baby's birth is a mother's birth as well. It is a new experience for a mother as well as a father. You'll be surrounded by people who'll give you their advice on parenting, sometimes without even you having to ask them. But you should always consult a paediatrician for any kind of queries or problems because every child is different in many ways and it is always advised to find the root of the problem before finding possible treatments or solutions.Here's a Q&A with Dr. Promilla Butani, answering your queries as published on http://www.indianmoms.com. 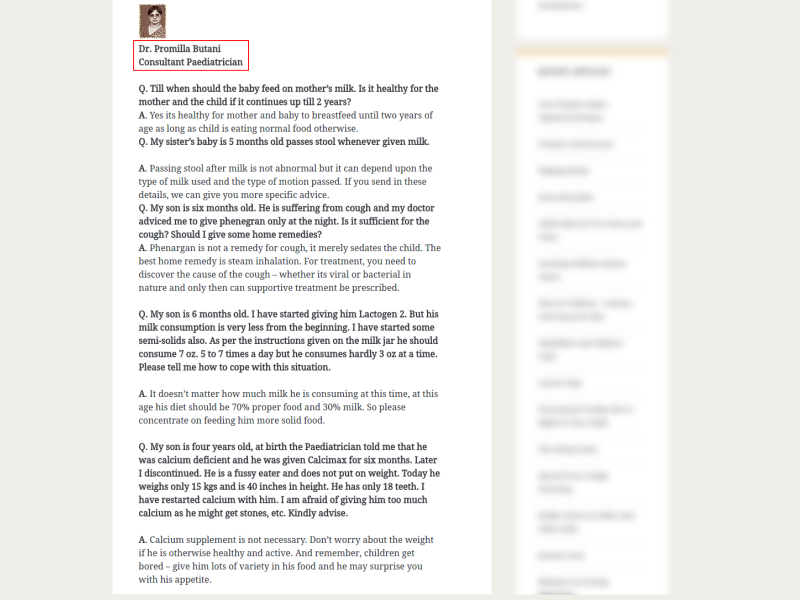 You can read it online at http://www.indianmoms.com/ask-an-expert.htm. Dr Promilla Butani is a visiting consultant at Max, Panchseel New Delhi.